Oil, road salt, and water drip on it. Studded tires chew at it. Chemicals coat it. It freezes; it rusts; and the concrete cracks. That’s no problem. The floor is coated with an Elmico product. 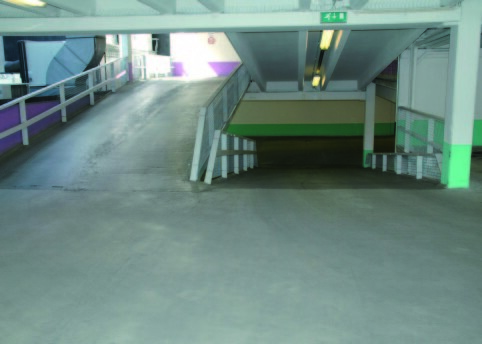 Thermosetting plastic solutions from Elmico are efficient and offer cost-saving protection for industrial floors, parking garages, and ship decks. These surfaces are exposed to significant wear and tear – chemical, mechanical, and thermal – which can lead to cracks and disintegration. The consequences are expensive maintenance or even financial loss due to production shutdown. Elmico provides unique thermosetting plastic floor solutions tailored to the type and volume of wear, temperature, and physical design. The products have good adhesion and are extremely hard-wearing, 100 percent waterproof, and exceptionally flexible. Even in extremely cold conditions, cracks up to 20 mm can be bridged. The coating is applied using a spray or a roller. It sets quickly and measures only a few millimetres thick. Lindberg & Lund AS wanted a durable coating that is easy to keep clean for its new location in Vestby, Norway. The company chose Micopox SL-3 from Elmico AS.